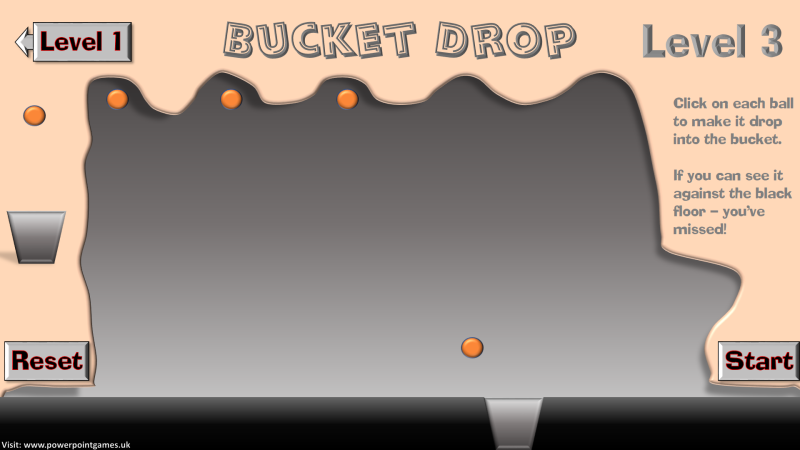 Just click on each ball to make it land inside the bucket. Easy! Except that it gets just a little bit harder as you climb the three levels. And remember, if you see the ball go past the bucket, you’ve missed!